When you were a kid losing a tooth was a cool thing. Each tooth that fell out meant money from the tooth fairy and a happy toothless smile. As an adult losing a tooth is not cool. It can be awkward, and a huge embarrassment. Take heart! 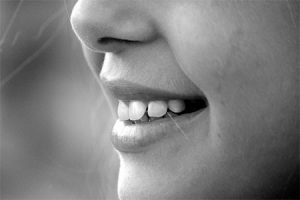 There are several techniques dentists can use to replace your missing tooth or teeth and give you back that happy smile. Crowns are used in conjunction with bridges to replace a missing tooth. A crown is a tooth-shaped cap that goes over an existing tooth and then cemented into place. There are various materials a crown can be made of, including stainless-steel for temporary crowns, and ceramic or porcelain for permanent crowns. In the case of missing teeth, a crown is placed on adjacent teeth to the missing ones for a bridge to be attached to the crowns. Bridges are often used for a missing tooth or to replace several missing teeth. A bridge is made up of a prosthetic tooth or teeth, also called pontics, which are often made of porcelain or ceramic. The bridge with the pontics is anchored by crowns cemented into place on adjacent teeth, also called abutment teeth. With proper care, bridges can last from five to 15 years. Dental implants are the newest way to replace missing teeth. The procedure takes longer than a bridge but is a permanent solution. A single implant can be used to replace one tooth, or a multi-unit implant to replace several teeth. A tooth root implant, a small post made of titanium, is placed into the bone socket of the missing tooth or teeth. The jawbone is then allowed to heal around the post to secure the rod in place. A small connector post called an abutment is attached to the rod. The abutment securely holds the fabricated new tooth, the crown, in place. Dental implants appear and function like real teeth. With a missing tooth or teeth, speech and eating can be impaired. Replacing missing teeth with dental implants can help you to eat and talk normally. By permanently filling in the gap from the missing teeth, dental implants can prevent surrounding teeth from shifting. Facial features can change from deterioration of the jaw due to missing teeth. Dental implants can preserve the bone density in the jaw preventing any deterioration. There are a few must haves before you can be considered for dental implants. Your health must be good enough to allow you to undergo a routine dental extraction or oral surgery, and your gums must be healthy. There must be enough bone density in your jaw to be able to hold the implants properly. The first step in replacing missing teeth is having a professionally trained dentist, such as Kirkland Family Dentistry, evaluate your dental needs. They can assess what is the best procedure for you, and guide you the take care of your teeth for a lifetime of happy, tooth-filled smiles.